In a world of global competition, innovative glass structures can create an influencing appearance ranging from a warm invitation to a significant corporate image. Innovative Structural Glass, Inc., is pleased to offer building solutions in glass to enhance structures with impressive, expansive areas of total vision. Our innovative systems combine exceptional beauty with structural integrity, creating a look of luxury at an affordable price! 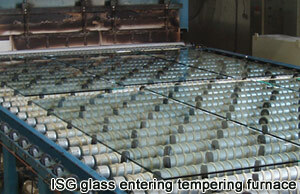 ISG’s systems are meticulously engineered and built of the finest materials. 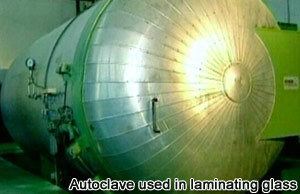 ISG’s products are highly adaptable to creative architectural designs. Innovative Structural Glass systems are designed for multiple configurations to complement any building envelope. ISG offers a variety of support structures for the glass, including Glass Fin Structures, Tension Structures, and Canopies and Skylights. 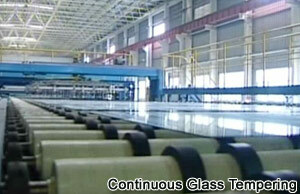 Inventive designs are created based on the performance, appearance, strength, and tolerance of the glass. 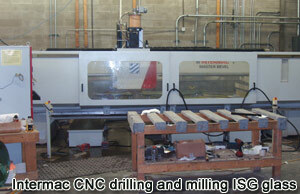 ISG’s systems are designed, engineered, and manufactured in the United States, improving speed to market. As a domestic supplier, ISG eliminates middlemen and multiple markups, providing a strategic cost-savings benefit to our clients. ISG is a quality-driven company, dedicated to providing superior products and services. More than 200 years combined experience in the design, engineering, and fabrication of ornamental metal and glass systems has positioned Innovative Structural Glass, Inc., to service the market demand for high-profile glass structures. ISG provides single source responsibility for your building needs, assisting you from the design and development stage, all the way through the engineering, fabrication, installation and successful completion of your project. Today’s competitive market has seen a proliferation of piecemeal systems, unqualified manufacturers, a lack of engineering of systems, a flood of foreign-supplied hardware and contractors that fail to practice industry standards of safety. 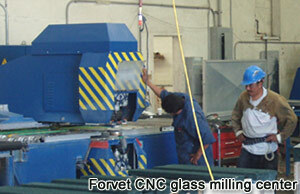 It is imperative to avoid the liability of an improperly designed system by working with a qualified supplier. 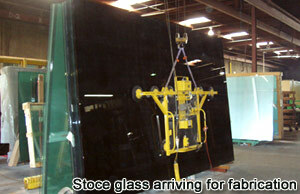 Innovative Structural Glass is here to serve you! ISG is dedicated to providing building solutions in glass that achieve architectural intent, while also focusing on the system design requirements. Design team services include supplying typical details, specification data, perimeter reactions, assistance with the selection of the glass, and budget pricing. ISG specializes in value-engineering project designs to meet budgetary constraints. ISG is structured to quickly assess individual needs and work toward innovative, cost-effective solutions. ISG’s engineered systems focus on critical life/safety requirements, which is our top priority in servicing the marketplace. ISG provides single source responsibility for your building needs. ISG’s team of Professional Engineers, with over 200 years collective experience, is licensed in all 50 states to support project design requirements and address any engineering challenge. ISG offers onsite engineering assistance to speed installations and ensure quality installations. ISG dedicates skilled craftsmen with diverse fabrication experience and capabilities to fabricate its beautiful glass structures, which are highly sought after by the architectural community. ISG’s fabricators work in close association with its design and engineering professionals to ensure accuracy and quality. ISG also utilizes a vast network of qualified fabricators and subcontractors that complement our manufacturing capabilities and support our customers’ needs. 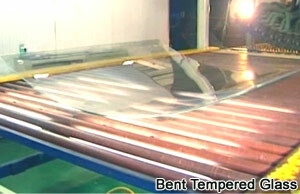 3/4" or 1" clear tempered and laminated fins available. 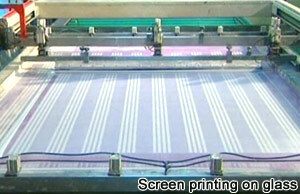 Full height fins which span the full height of the opening are available. Cantilevered Fins, spanning from the ceiling or floor, offer an alternative the full height fins for a maximum unobstructed view.